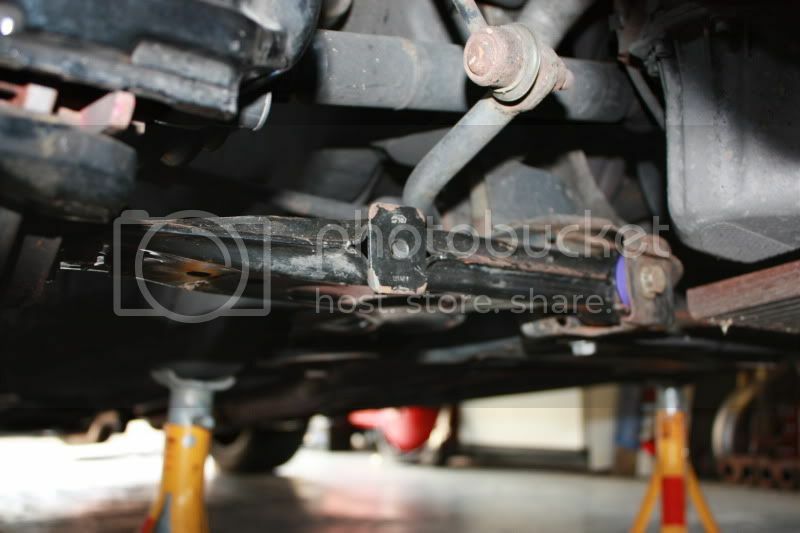 This is a relatively simple job that can be done whilst the car has the front lifted and is secure on axle stands. You will need to remove both front wheels for access and this description is for the drivers side which requires the engine to be lifted to gain access. The passenger side is easier. These are what you are trying to replace and at the same time upgrade the bushes. Although the standard rears give a soft ride and allow more "give" for accellerating and braking they are prone to tearing. If these are replaced with poly bushes they can be harsh. A good compromise are the TT voidless ones. The forward bushes are best replaced with poly bushes. You can see here in the next picture the darker wishbone with a TT bush and a polybush. The TT bush was easily pressed in using a vice and a large socket to save damaging the soft edges. 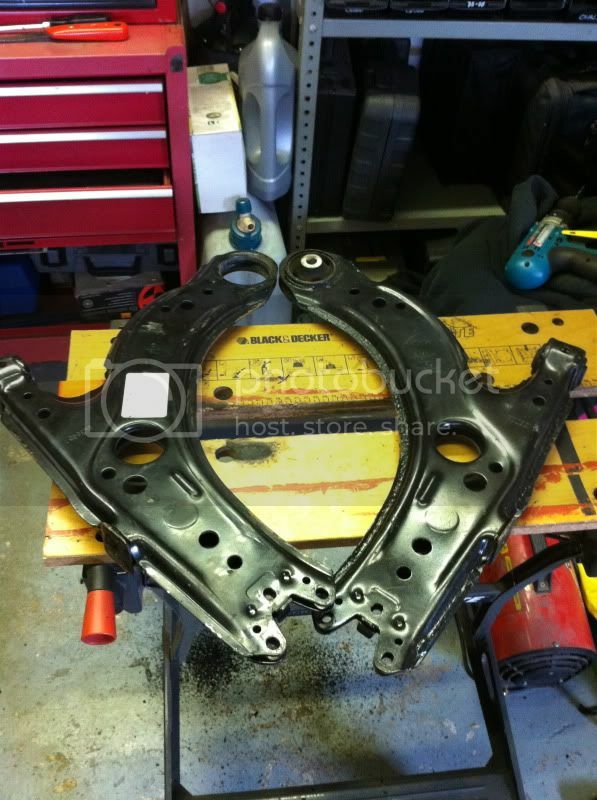 To gain access to the drivers side engine mount the single allen bolt for the power steering resevoir needs removing. 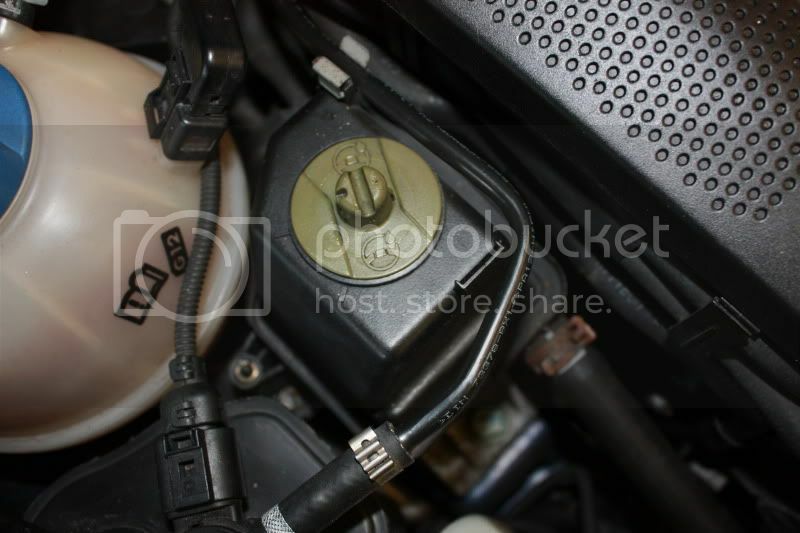 A 16mm socket is then used to undo both mounting bolts. 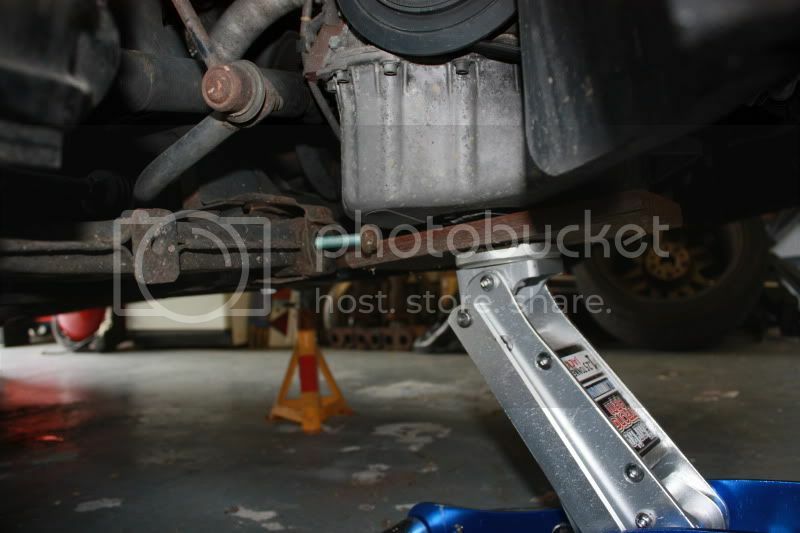 The engine will go no-where as it is sat on the mount but can be lifted by using a jack under the sump. The rear fixing is an 18mm nut and bolt and a further 3x13mm bolts holding the hub to the wishbone. With all of these removed and a little manipulation the wishbone can be pulled free. Be sure to mark or scribe the 3x13mm bolt locations to aid the reassembly. 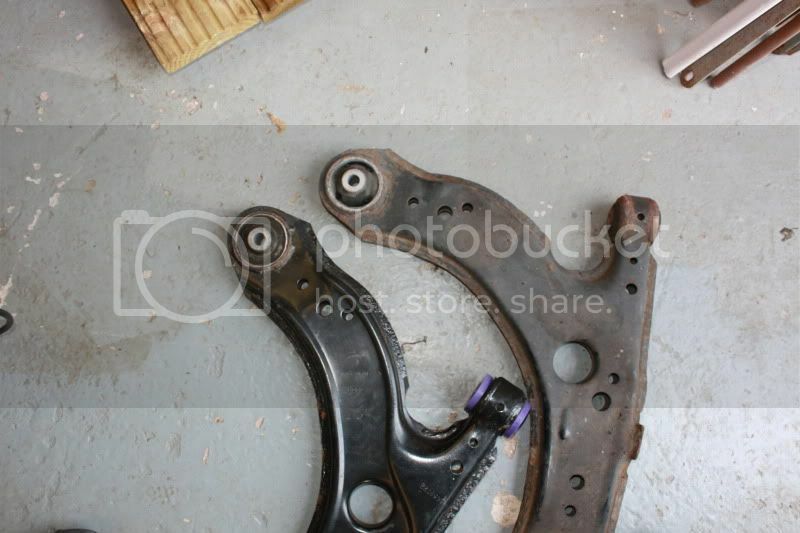 Once all back together and correctly torqued up be sure to double check that you've tightened the engine mount again. The passenger side is simplified by the front bolt having un-hindered access. I need to do the rear beam bushes on my 4motion. Its making a knock as I go over bumps. Has anyone done this themselves before? Don't want to pay a garage for something I can do. Also would you use pollybushes? I have done mine and did a small write-up http://www.vr6oc.com/e107_plugins/forum/forum_viewtopic.php?420625 .